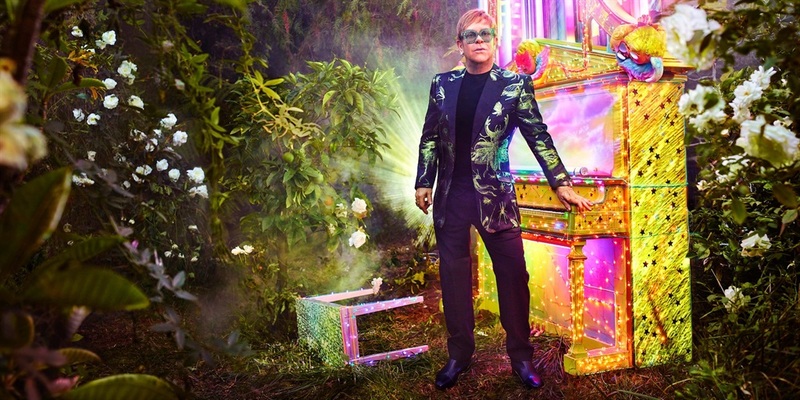 US Secretary of State Mike Pompeo reportedly plans on gifting North Korean leader Kim Jong Un an Elton John CD featuring the song "Rocket Man." Trump reportedly wrote a message on the CD and signed it. 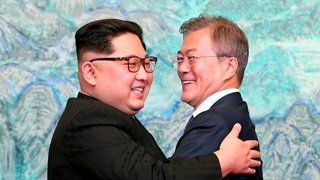 Trump's inspiration for the gift reportedly stemmed from a conversation he had with Kim during their June summit in Singapore, in which the song reportedly came up. In what was considered to be one of the lowest points in US-North Korean relations, Trump referred to Kim as "little rocket man" in speeches and tweets. US Secretary of State Mike Pompeo travelled to North Korea on Friday, his third trip to the region, as part of an effort to solidify agreements on denuclearisation. Pompeo trip comes less than a month after US President Donald Trump and North Korean leader Kim Jong Un participated in a joint summit in Singapore. But the US's top diplomat also planned to give Kim a gift: an Elton John CD featuring the song "Rocket Man." Trump's inspiration for the gift reportedly stemmed from a conversation he had with Kim during the summit, sources told the conservative South Korean news outlet, Chosun Ilbo. "Trump then asked Kim if he knew the song and Kim said no," one diplomatic source reportedly said. 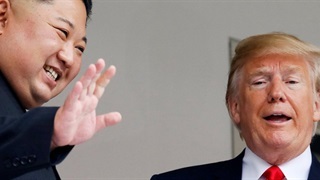 At one of the lowest points in US-North Korean relations since Trump took office, the US president frequently called Kim "little rocket man" in Trump's speeches and tweets in 2017. "We can't have madmen out there shooting rockets all over the place," Trump said at the rally in Huntsville, Alabama. "This shouldn't be handled now, but I'm gonna handle it because we have to handle it. 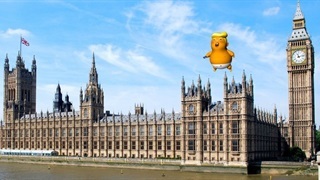 'Little Rocket Man.'" 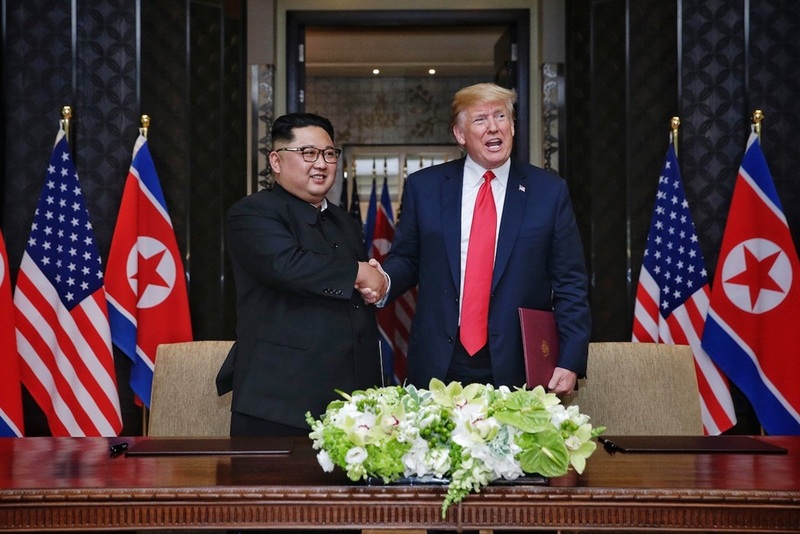 North Korean leader Kim Jong Un with President Donald Trump during their summit at the Capella Hotel on Sentosa island in Singapore, June 12, 2018. On Thursday, Trump also mentioned Elton John during a campaign rally for Republican state auditor Matt Rosendale in Montana. Trump referenced the size of the crowds at his rallies and said he had "broken more Elton John records". Pompeo's trip comes amid reports that various facilities at a North Korean nuclear complex are operating as usual, and a scathing US intelligence assessment that found the regime intended to "deceive" the US. Despite the lingering questions, Trump expressed optimism about the efforts to curb North Korea's nuclear ambitions. South Africa will be contributing equipment to the largest science experiment on Earth. This is what they hope to find.